When was the last time you treat yourself for a "me time"? Busy schedule results to an unhealthy lifestyle and it makes you prone to sickness, aging, and hair fall. And because of this, it is no surprise that you forget to take care of yourself that it eventually takes a toll on your overall well-being. Worry no more! Watsons is here to help you to revitalize your youthful vigor and bring back the vitality you need to enjoy life! Their newest campaign- Time to Renew aims to help people restore their beauty and recharge their health. More information about Watsons Time to Renew Campaign below. 1. Restore Your Beauty- is mainly focused on taking good care of your skin. A skin care routine using products suitable for your skin type is what you need to make it healthy and glowing. Watsons is here to rescue and give solutions to skin problems like dullness, dryness, blemishes, oiliness, and acne. 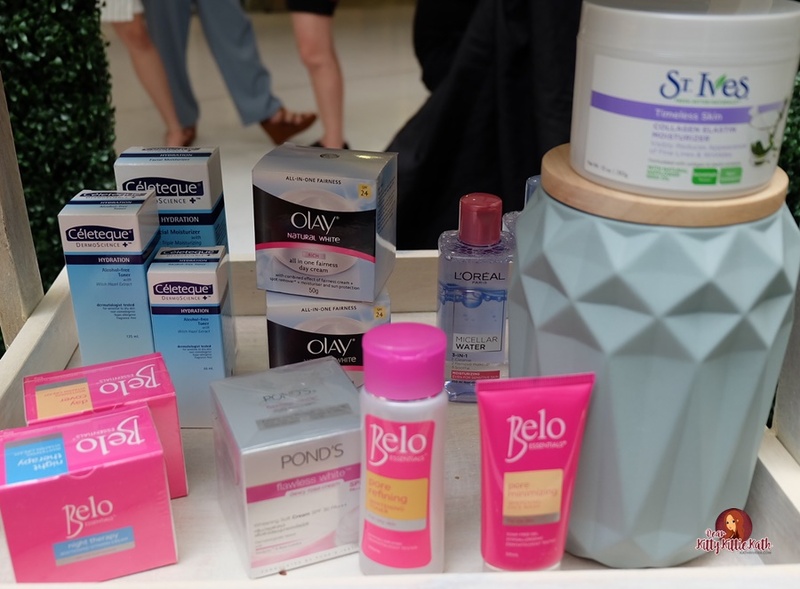 At Watsons, restoring your skin’s beauty is now made easy with products like Pond’s, Olay, L’oreal, Belo, Celeteque, and a whole lot more. These facial moisturizers, toners, and facial scrubs are lifesavers. They keep the dullness away and oiliness at bay. 2. Revitalize Your Hair- did you know that sun exposure can damage our hair? It can make our tresses dry, frizzy, and brittle that's why a simple combing can easily break them. Watsons offers different solutions to hair care problem by recommending the best brands to make those crowning glory healthy. Taking care of our hair doesn’t end with simply shampooing and conditioning. Our hair also needs intensive protection from the sun and heat styling products, especially for those who love playing with their locks. Make it a point to revitalize your hair with hair loving products like Tresemme, L’Oreal, Dove and Moringa. 3. Recharge Your Health- poor diet, stress and lack of exercise make the body wealth and lethargic. At Watsons, you can find a lot of health solutions ranging from vitamins and food supplements to recharge your body and achieve overall wellness. Health solution products such as Cosmo Cee, Poten-Cee, Met Tathione, IVI Collagen, Myra E, Stresstabs, Belo Glutathione, Snow Caps and Kilo-off will help you have a healthier life and get in tip-top shape in no time. Enjoy big discounts and great deals for your health and beauty products exclusive at all Watsons stores and SM Store Beauty Section. Get a chance to win revitalizing packages with your SM Advantage Card, BDO Rewards or PriMo Card. Every P500 single-receipt purchase of any participating product entitles a member to one (1) raffle entry. Prizes include: thirty-five (35) winners of Spa Pampering Packages at The Spa; Ten (10) winners of Full-Year Gym memberships at Fitness First; and Ten (10) winners of Overnight Weekend Wellness Packages at The Farm at San Benito resort. Restore your beauty and recharge your health with Watsons!